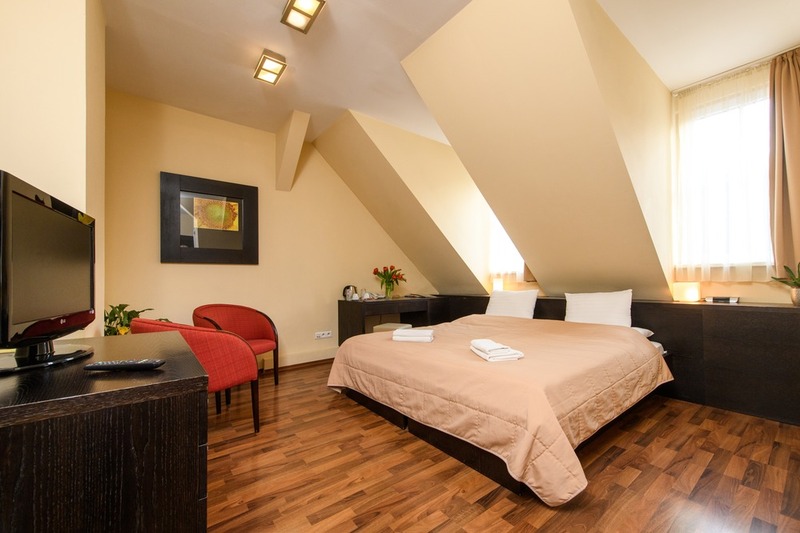 We offer five comfortable single-bed rooms of 20m2,situated in the hotel’s attic area on the third floor with a street and Trencin area view, all consisting of one room, a hall, and a toilet-equipped bathroom. The rooms are ideal for one person but, given their size, it is also possible to include an extra bed or a baby cot. 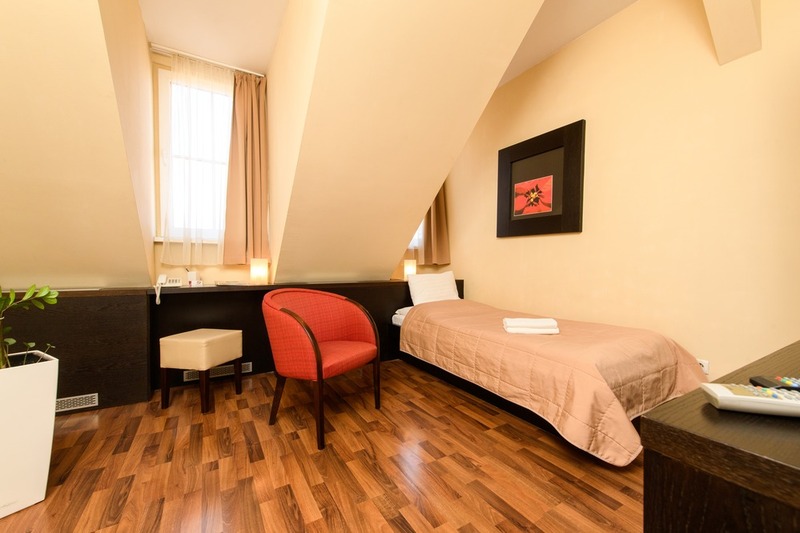 In addition, we also offer eight comfortable standard double-bed rooms of 26m2 all consisting of one room, a hall, and a toilet-equipped bathroom. 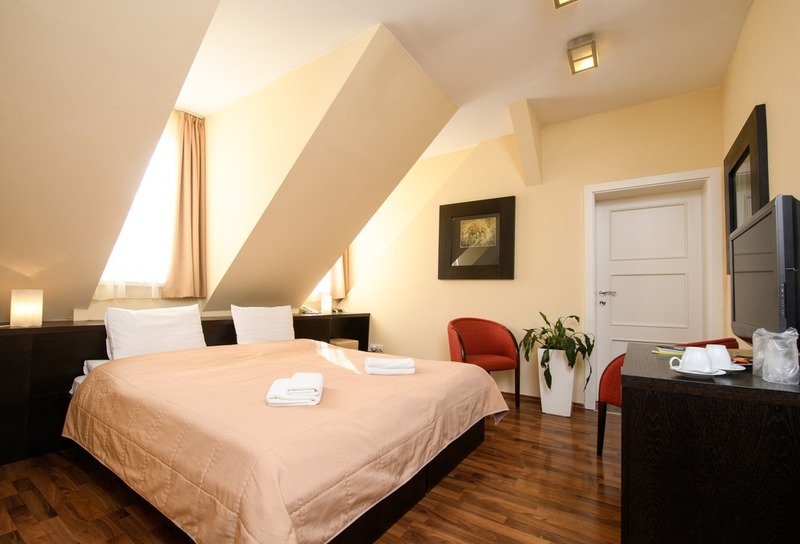 Some rooms are with a beautiful Trencin castle view and some are street-oriented with a Gallery view. 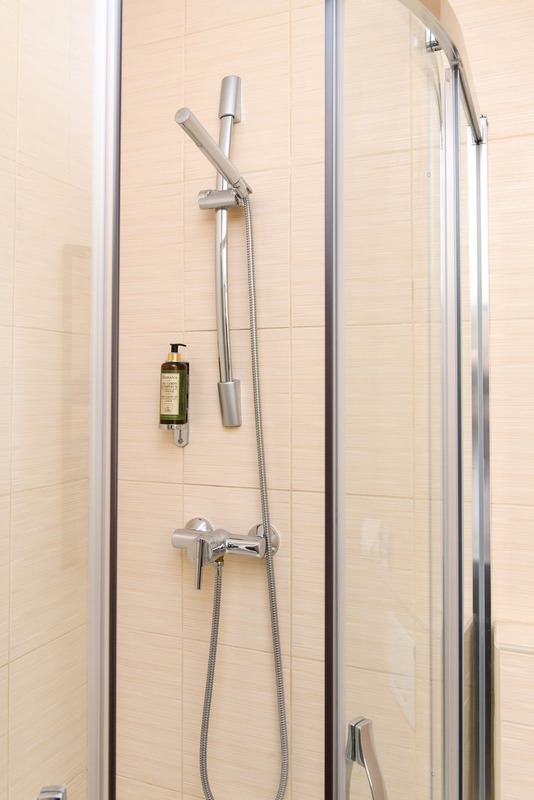 For families with children we offer two elegant spacious family rooms for 3-5 people with two separate bedrooms, a hall, and a toilet-equipped bathroom. 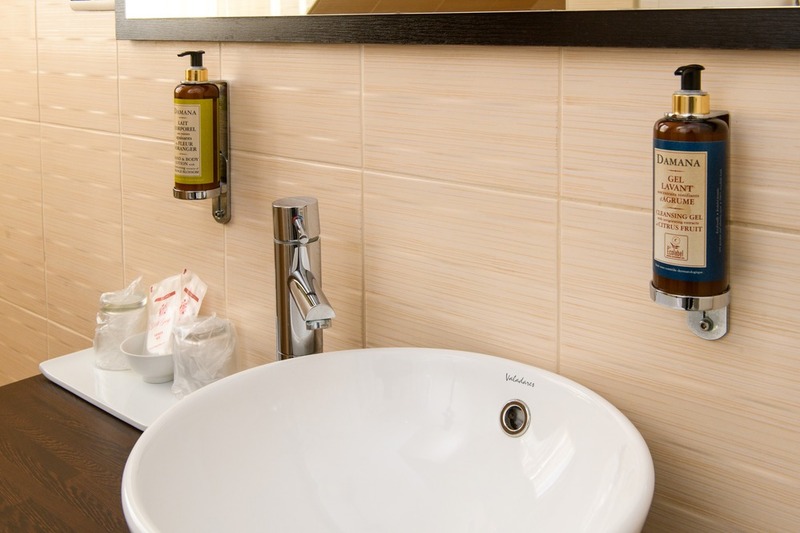 All rooms are equipped with modern furniture, and have a separate bathroom with either a shower cabinet or a bathtub together with hair-dryer, quality cosmetics, and bath towels. Each also provides a satellite TV set, telephone, radio, Wi-Fi connection, safe-deposit, kettle, and clothes cabinet. Some rooms are air-conditioned.